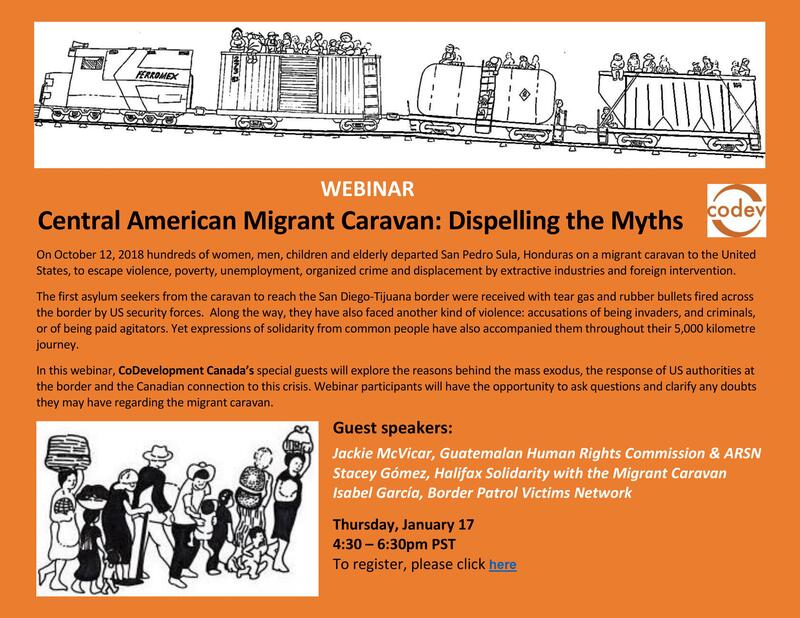 A link to the Youtube video of the Migrant Caravan Webinar r1 For those unable to attend the Migrant Caravan Webinar, we are bringing it to you! &feature=youtu.be ... Missed the webinar? Now you can watch the webinar r18. follow on Twitter | friend on Facebook | forward to a friend Copyright © 2019 CoDevelopment Canada, All rights reserved.